A view over FPWC's Buffer Zone Reserve which has received funding from IUCN-NL. Photo © Foundation for the Preservation of Wildlife and Cultural Assets/FPWC. 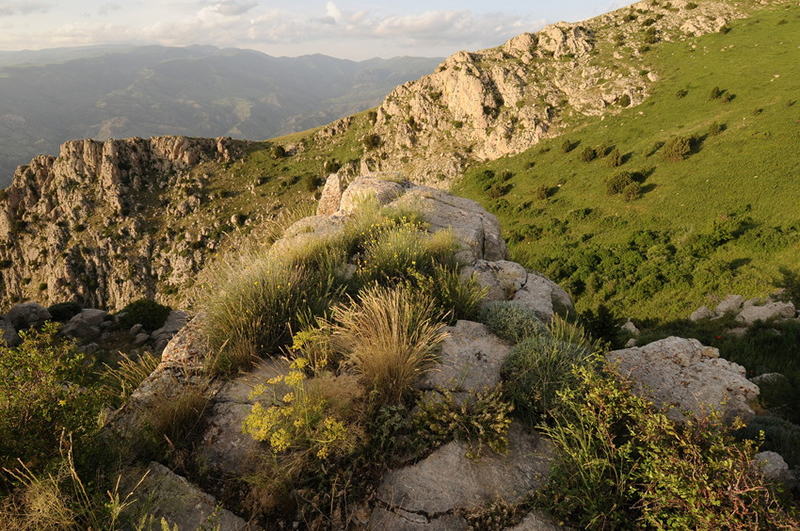 New funding will help World Land Trust’s (WLT) partners in Armenia to increase their protection of the country’s threatened habitat and wildlife. The conservation group, Foundation for the Preservation of Wildlife and Cultural Assets (FPWC), was given a grant by IUCN National Committee of the Netherlands (IUCN-NL), (also a WLT partner) that will repay the costs of the 1,085 acres (439 hectares) that FPWC has turned into the Caucasus Wildlife Refuge. 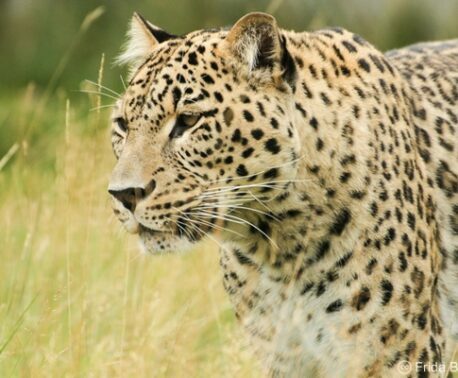 Over the next five years, the grant will also fund the additional costs of extending the reserve to 2,073 acres, covering an area that is home to the Caucasian Leopard and Brown Bear. Armenia, a small country sandwiched between Turkey, Georgia, Azerbaijan and Iran, is one of the world’s top biodiversity hotspots yet its conservation has suffered from a lack of funding and protection. Why is the Caucasus Wildlife Refuge important? The reserve provides an essential buffer zone to the neighbouring Khosrov reserve, and helps protect a native subspecies of wild goat, the Bezoar –this is a spectacular animal with horns nearly as long as its body and it only exists in the Caucasus. 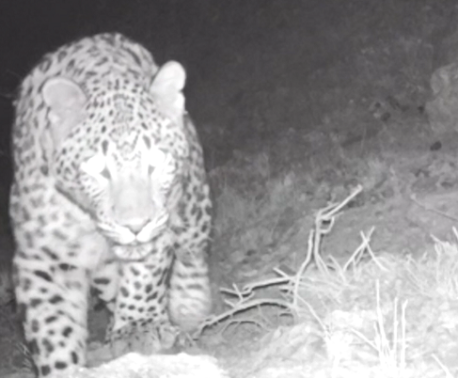 Overhunting has seen a dramatic fall in the numbers of Bezoar which has impacted the populations of its natural predator, the Leopard, which is now one of the rarest species in the Caucasus region. 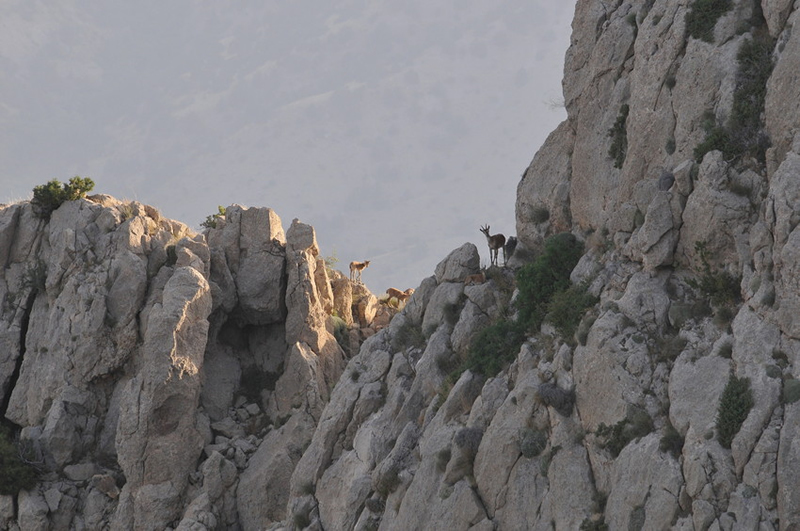 Bezoar goats (Capra aegagrus aegagrus) perched on the steep sloaps that characterise the Caucasus Wildlife Refuge. Photo © Foundation for the Preservation of Wildlife and Cultural Assets/FPWC. Much of the wildlife in the Caucasus is under threat from habitat loss, with its forests being logged at an alarming rate. Trophy hunting is also threatening many species; the Brown Bear is a prime target and this is a great concern because it is a keystone species and a top predator in the region. “He was very impressed with the Buffer Zone initiative and asked how the Ministry could be of assistance to make the project more successful”. FPWC and WLT are optimistic that a strong relationship with the Ministry can ensure the long-term protection of the Buffer Zone Reserve and also help to raise FPWC’s own profile as an important environmental NGO (non-governmental organisation) both nationally and internationally.